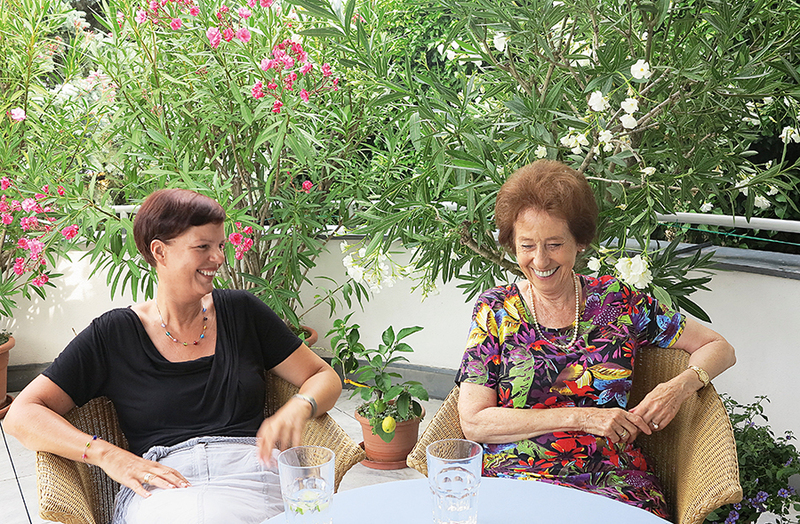 The curators Johanna Langfelder-Hain and Andreas Hoffer interviewed Prof. Agnes Essl, patron of the ESSL ART AWARD CEE, and Eva Wirlitsch-Essl, jury member of the ESSL ART AWARD CEE. They speak about the challenge of picking the best young artists and provide unique insights behind the scenes of the Award. EM: Mrs. Essl, in your capacity as patron of the ESSL ART AWARD CEE (=EAA CEE) you consistently accompany the event and actively participate in it from the outset. What were and are the greatest challenges? AE: For me it was always a challenge to think “who should be given this opportunity and who shouldn’t?”, when I was still an active jury member. That is a choice I find very hard to make. Have you really picked the best or have you perhaps not given enough attention to someone’s work because of the wealth of submissions? 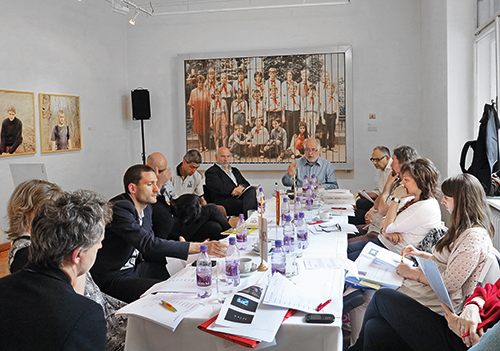 This is why I am very happy to have the large jury with members from all participating countries, chaired by René Block. They have a great deal of experience in the arts, and we discuss the works, the award winners are chosen, and no solitary decisions have to be taken. I am always very pleased when we meet some of the artists two years later at the openings of the subsequent award exhibitions, and they are thrilled to tell me that they were now enjoying success. That is an enormous delight for me and all jury members. Whenever I hear something like that I am convinced that all the effort going into the award has not been in vain. 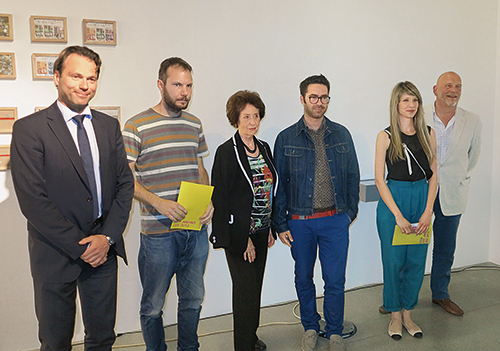 The Essl Art Award can actually be a springboard for young artists. EM: Mrs. Wirlitsch-Essl, can you tell us more about the jury sessions on site during the “Nominees’ Exhibitions” phase? EWE: The most exciting moment is always when you enter the exhibition for the first time. Although you have intensively studied the submissions, you never know what the works look like in the original and how they are presented. The jury enters the exhibition together; everyone has a pen, paper and files. Then you will find that all jury members become withdrawn and start concentrating. Everyone has their own system, that’s what struck me particularly. Some, and I belong to that group, first walk through the entire exhibition and form a first impression. Others immediately stop at the first work and start taking notes. There is total silence, for a long time. It’s only then that some exchanges begin. 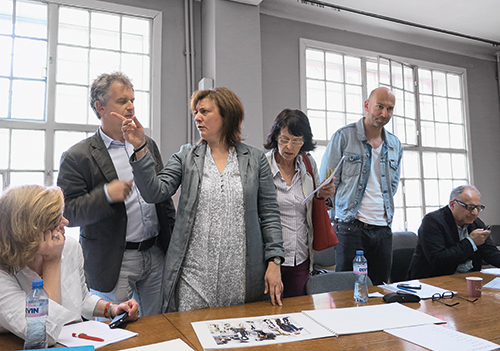 We then slowly start our jury session, some members start running around again hectically, because they want to get yet another close look at one or other of the pieces, some study the nominees’ portfolios to check other works they have made. Then René Block, the chairman, starts the voting process and asks the members to present their arguments. It can be very different from country to country, and at times things can get very heated and controversial. EM: What do you do if you are deeply convinced by an artist, but the discussion during the jury session goes in a completely different direction? AE: That’s not easy, of course, but it’s important to me that the decision be taken by the entire jury in a democratic manner – this is why we have such a large and experienced jury, after all. That being said, it is a bit easier for me personally, since I reserve the right to extend an additional Collector’s Invitation if I am really particularly taken by an artist who doesn’t gain an award. EWE: It can go in many different ways; sometimes you let yourself be convinced by others, not persuaded, mind you, but convinced! If you listen to what others see, what aspects they consider, you start developing another take on the works. Well, and sometimes you are simply unhappy, because you disagree but couldn’t convince the other jurors with your arguments. Back home you start out with your own shortlist, and then you join the jury and matters can turn out very differently. I think it’s good, however, if you are ready to review your own opinion on the basis of a profound discussion. To me the jury sessions feel very enriching. AE: But one must also acknowledge that this is a very serious matter. I always see the individual, i.e. the artist, behind the discussion. And the ten artists that are standing there and waiting for the award. It makes my heart ache, having to take the decision. EWE: Yes, it’s a serious matter, and it’s really not something that is easy to do. I have to say that the whole jury takes the selection very seriously, and no decision is taken lightly. EM: Mrs. Essl, why is it so important to you to join the jury on its trips? AE: Because I love to get in contact with people, and I think it’s important for me to know exactly what happens and what decisions are taken. EWE: I think that on the whole you play a very integrating role. EM: And a concluding question: why do you think that a final joint exhibition of all artists is so important? AE: The group exhibition here at the Essl Museum is the first opportunity for the artists from the different countries to compare themselves with everyone else. They can network and engage in exchanges. The value of that opportunity for dialogue simply cannot be overestimated. This blog entry consists of extracts from an interview which was conducted in the course of the Essl Art Award CEE 2013. 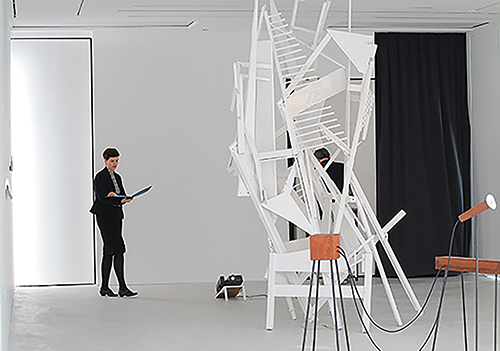 More details about the Essl Art Award CEE, its mission and history as well as this year’s nominees, jury members and exhibition dates may be found on our website.